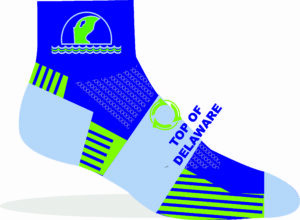 With one of the most unique venues in our racing family, the Top of Delaware Triathlon takes place at the top of a mountain. Athletes start their day with a swim in the Newark Reservoir, a lake quarried into the side of a mountain overlooking the City of Newark. After swimming the 750 meter course, athletes will run the 1/3 mile downhill to transition at the base of the reservoir. The bike course is rolling and sometimes technical, but those miles really fly as you quickly exit the City of Newark and roll through the elegant forests of White Clay Creek State Park and Middle Run Valley Natural Area. The bike course is rolling with great pavement and has mostly right hand turns. 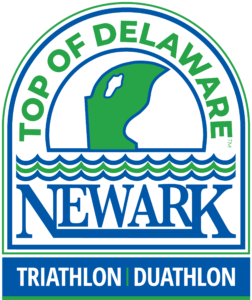 After T2, triathletes will run to the top of the reservoir to run the paved perimeter trail featuring skyline views of the City of Newark. We promise, this race will quickly become one of your new favorites. We promise you’ll love this race. You can check out a race video HERE, then register below. Be sure to explore Newark before heading out of town or come in a day early to check out the local parks, restaurants and breweries, or ride some of the fantastic farm roads just outside of town. Swim Course: Athletes will start their day with a 1/3 mile uphill walk from transition area to the swim start. After an in water start, athletes will swim a triangular shaped course and exit the water via a set of stairs. The course will have 2 yellow right turn buoys and orange sighting buoys will be located approximately every 75 meters. We expect the water at this time of year to be in the upper 70’s. A temperature reading will be taken and posted the Thursday prior to the event. The swim venue is a hike for spectators, but we assure you it’s worth it to watch a race from 20′ above the water! Pro Tip: Wear a 2nd set of shoes to the top and slip them on for your run from swim finish down to T1. Bike Course: The 20k bike course quickly leaves Newark behind as it rolls through the elegant forests of White Clay Creek State Park and Middle Run Valley Natural Area. These green spaces keep the water that feeds the reservoir clean, so soak up the cool, O2 enriched air as you ride through. The bike course is mostly right hand turns and the pavement is well maintained throughout. 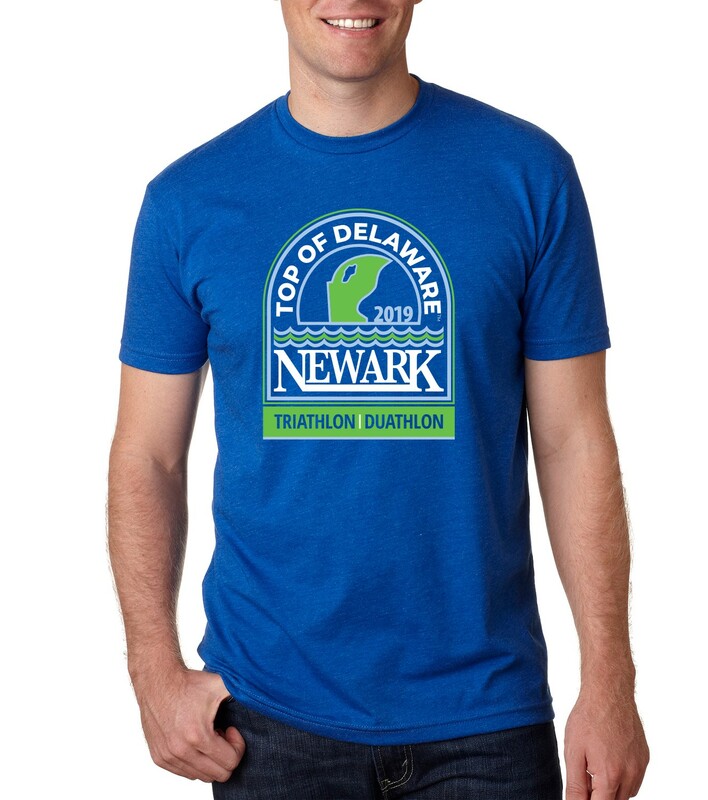 Run Course: After racking their bike in T2, triathletes will venture back up the Newark Reservoir trail for a paved out and back 5k run featuring skyline views of the City of Newark. Aid stations supplied with ice water and Gatorade will be available every mile. We promise, this race will quickly become one of your new favorites, the views are absolutely spectacular and not to be missed. Duathlon: Athletes doing the duathlon will have a 1 mile run starting from the top of the reservoir and will start with the first wave of athletes in the Triathlon. Please Note: All participants must collect his/ her own event packet. Photo ID is required in order to collect event materials. NO ID = NO EVENT. If you take a photo of your ID with your phone, that will be sufficient for photo ID purposes. Campground is located across the pond from transition area – about 9 miles from race site.